The EMR BDAMON-02-NFPA and BDAMON-02-SNMP Bi-Directional signal booster accessory allows 24/7 system monitoring via the internet with a web browser or an SNMP Manager. EMR BDAMON-02-MODEM Bi-Directional signal booster has a built in modem allowing monitoring access via a telephone line. 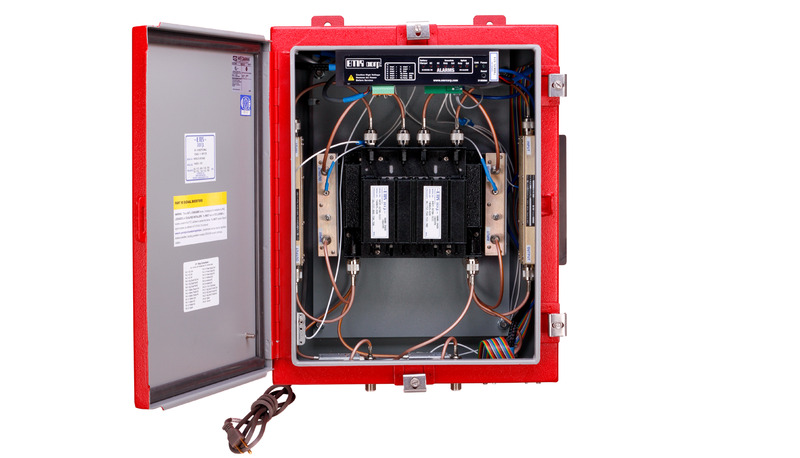 All models monitor; BDA enclosure cover, AC Power, DC Power and RF amplifier function. Alarm LED indicators and manual alarm reset are located on the front panel.